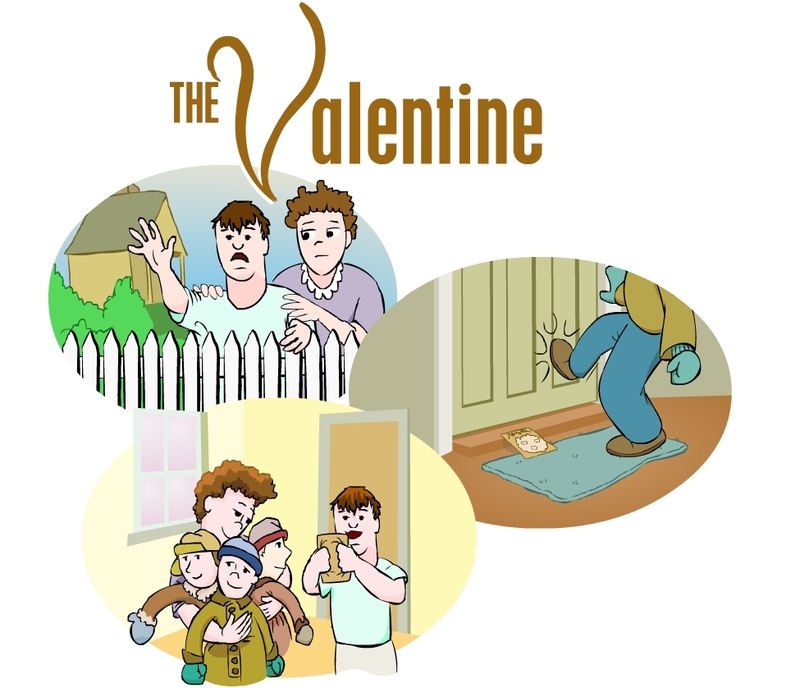 Concept Art for "The Valentine"
Just this afternoon, I received permission to add “The Valentine” a delightful look into an old Valentine’s Day tradition from the early 1900’s. I’m so excited about this one that I’m almost hoping that it bring the tradition back to life. As the story goes, it was customary back in the day to drop a Valentine’s card at someone’s house, kick their door and run, so that the giver of the Valentine remained anonymous. There’s an expected twist to this story though when the recipient of the Valentine in this story is neighbor kid who is developmentally disabled. I’m not exactly sure how soon we’ll get to produce this one, but I am going to push to have it done before Valentine’s Day next year.